HOUSTON -- Villanova will take on North Carolina for the Monday night final of the NCAA Tournament. North Carolina beat Syracuse, 83-66, in the second Final Four semifinal. 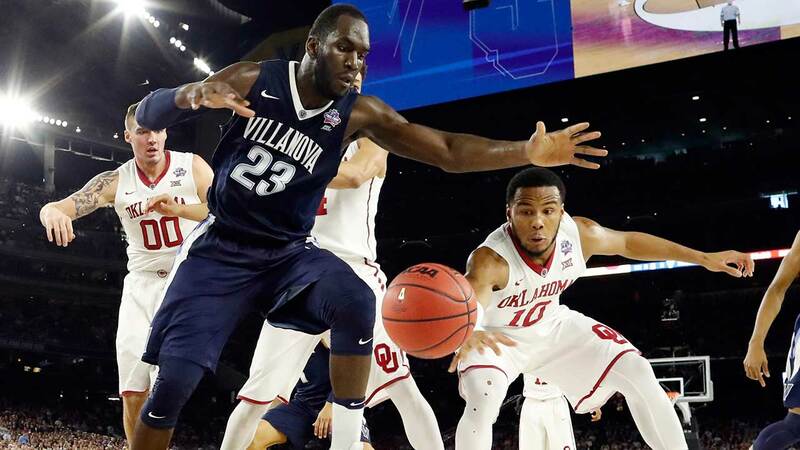 Villanova easily beat Oklahoma 95-51 in the Final Four's first semifinals Saturday night, heading to the national championship game for the third time in school history and first time since winning it all in 1985. It will be the second time the Wildcats have played the final in Houston. The first was in 1971 when they lost to UCLA in the Astrodome next door to NRG Stadium. The Wildcats tore up Oklahoma 95-51, the largest margin of victory in a national semifinal game in NCAA Tournament history. The previous mark had been 34 points, with Magic Johnson and Michigan State beating Pennsylvania 101-67 in 1979, and Cincinnati beating Oregon State 8-46 in 1963. Villanova will play an ACC team next - North Carolina or Syracuse. Villanova is 11-4 all-time against North Carolina, bu coach Jay Wright is 0-3. Their last meeting was in the 2013 NCAA Tournament, a 78-71 UNCA win. Against Syracuse, a former Big East rival, the Wildcats trail that series 38-34. But Wright is 12-9 against the Orange.